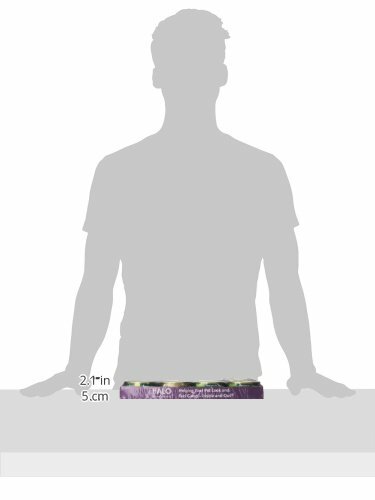 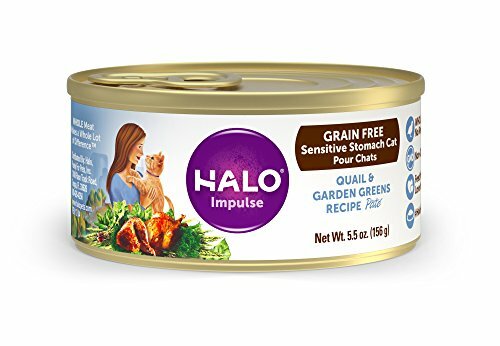 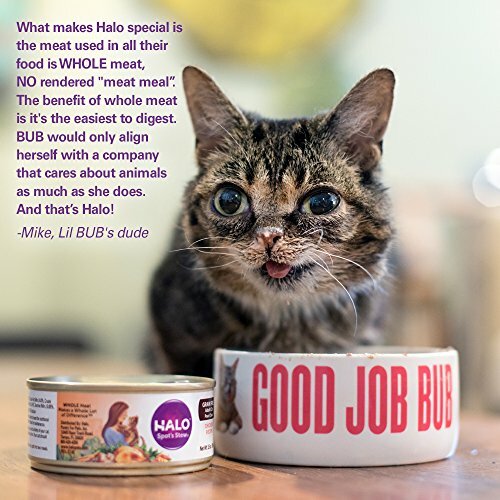 Halo uses WHOLE meat, never any “meat meal” of ANY kind in our natural cat food. 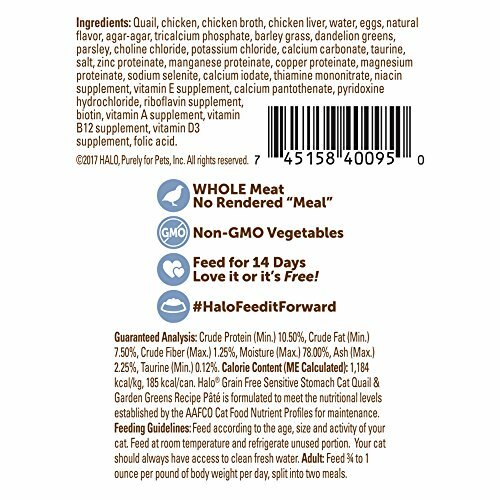 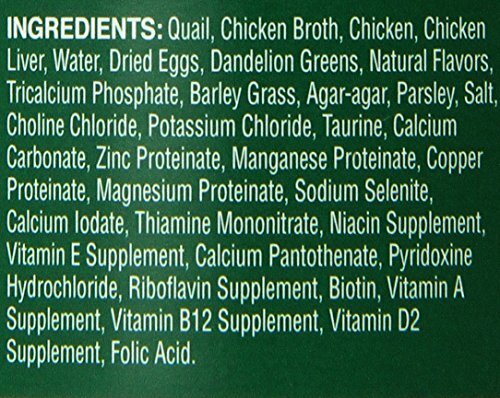 Our grain free sensitive stomach cat food is made with novel proteins and greens to support easy digestion. 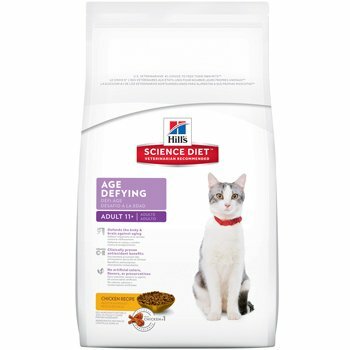 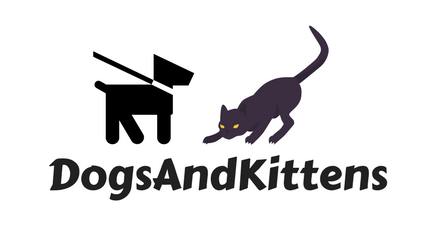 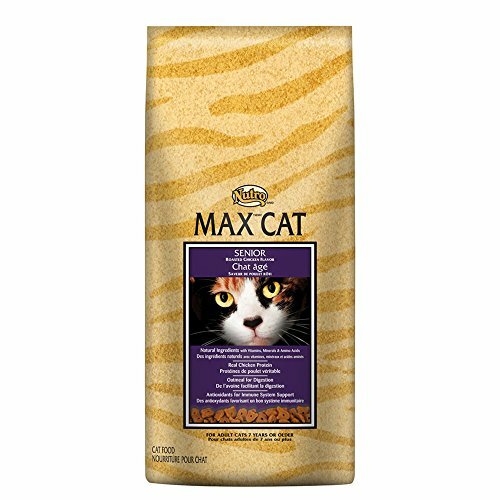 We also have cat food options for special diets, including kitten food, indoor cat food, and senior cat food. 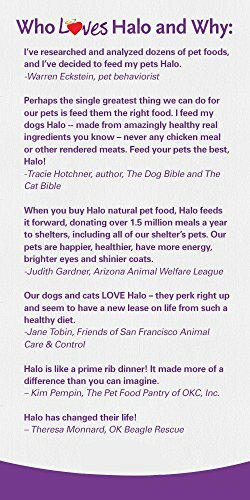 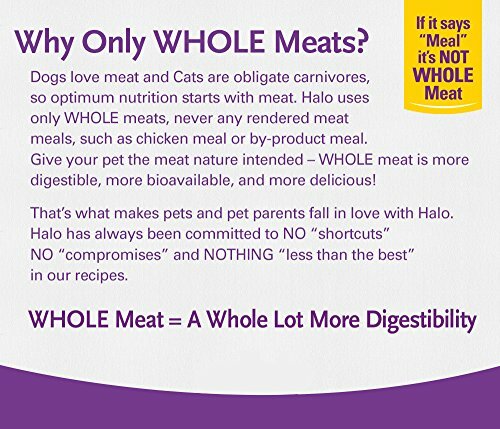 At Halo, WHOLE Makes a Whole Lot of Difference™ is the philosophy that drives our holistic approach to ingredient sourcing, recipes, nutritional value, the welfare of ALL animals, and our overall mission to change the way companion animals are fed and farm animals are raised…for the better!